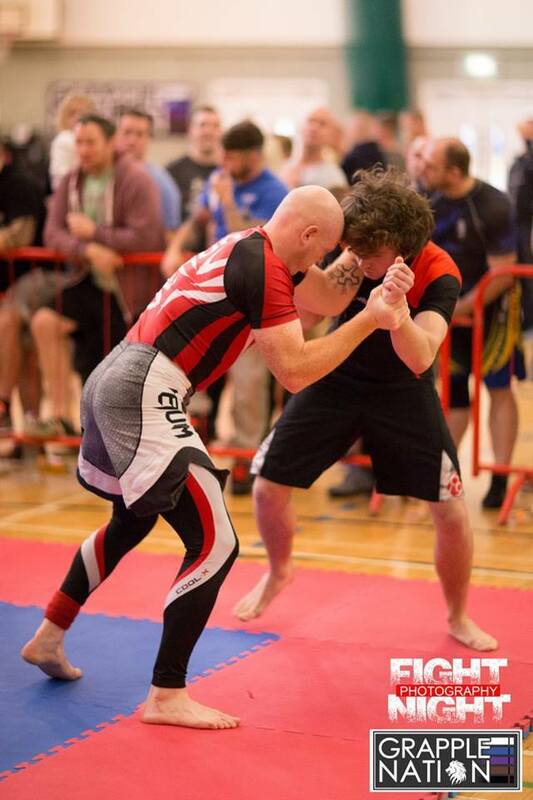 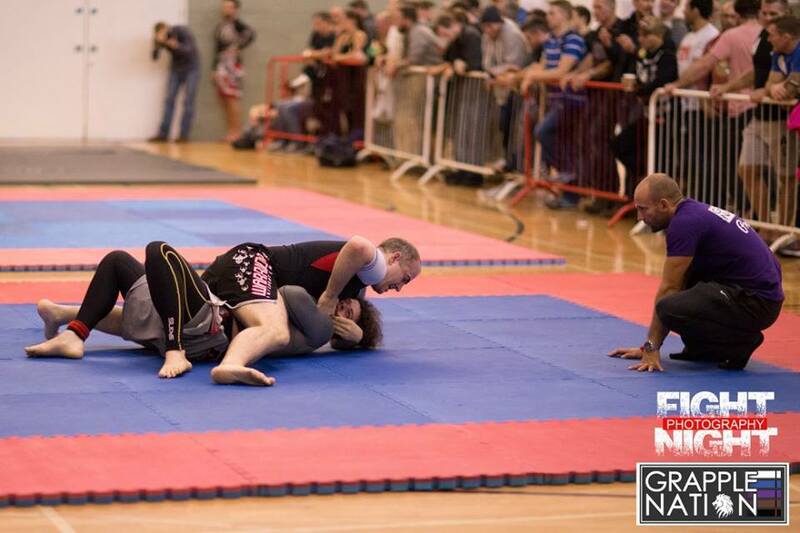 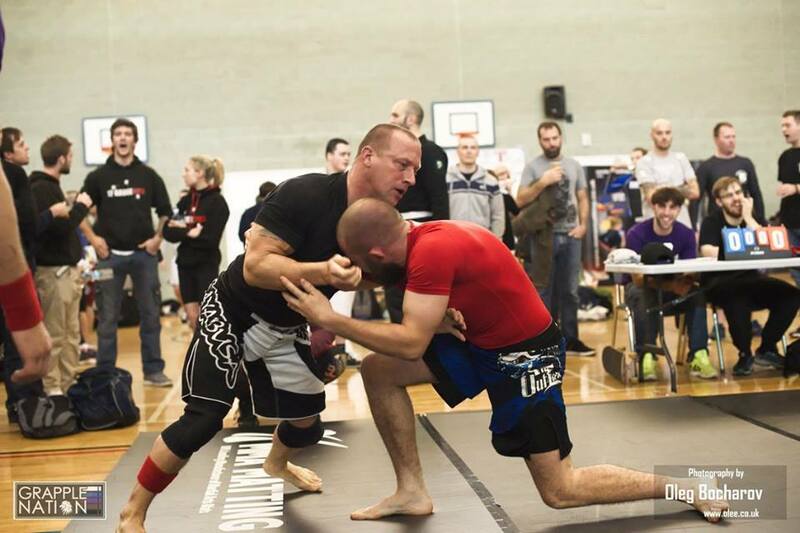 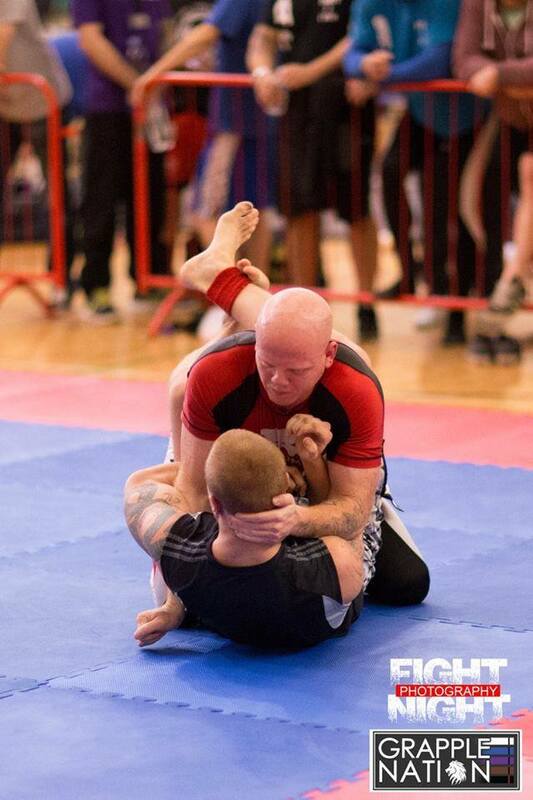 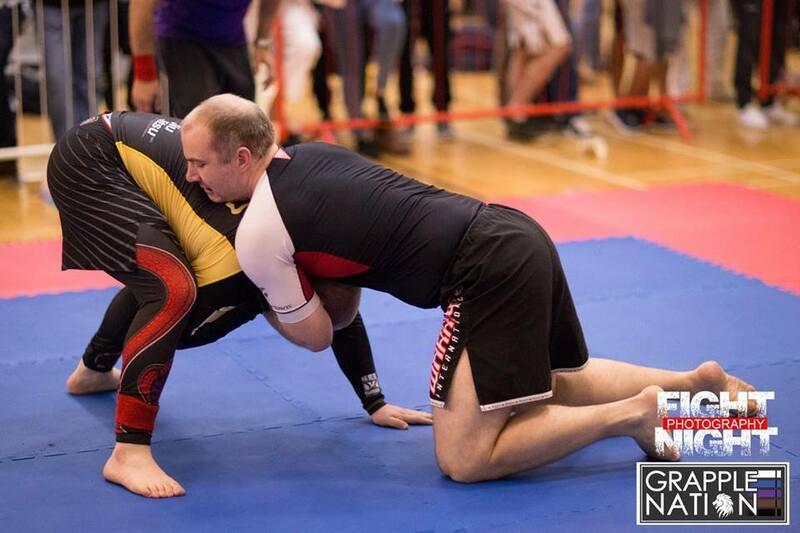 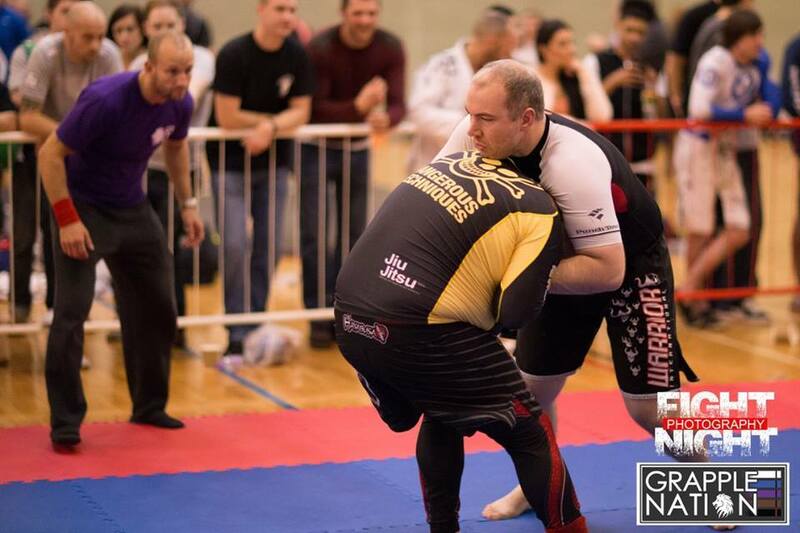 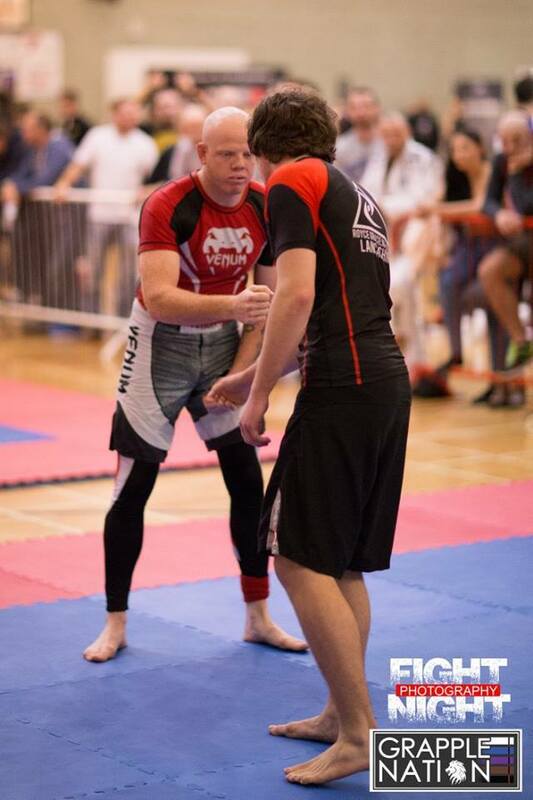 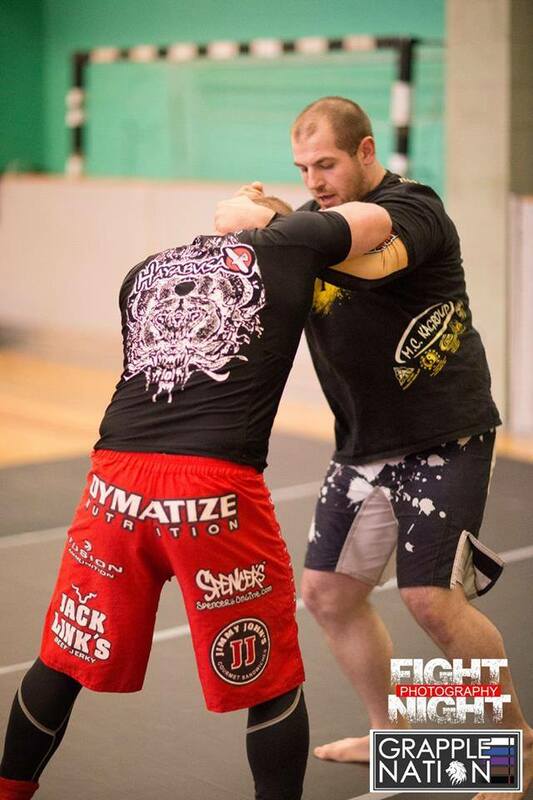 Five MCKG competitors, who train in Erik Paulson’s CSW, triumphed at Grapple Nation 3 on 1st November 2014 at Sugden Sports Centre in Manchester. 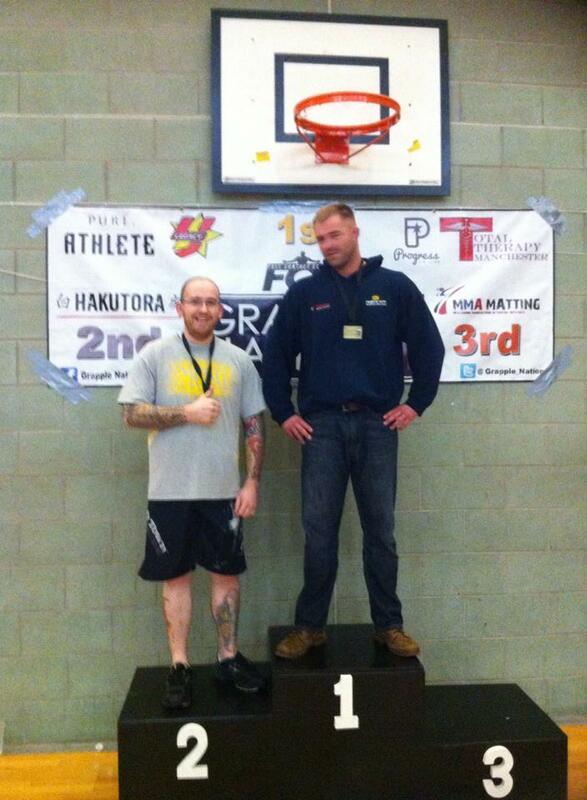 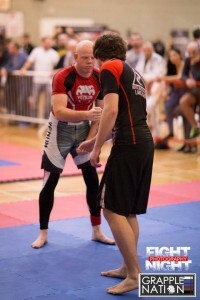 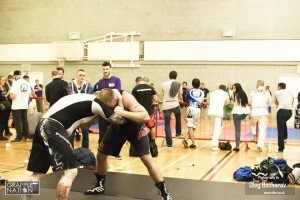 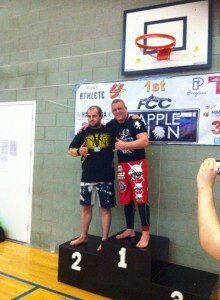 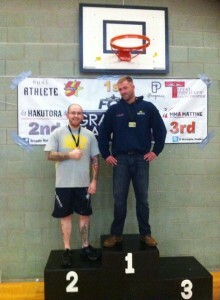 Darius Wood won gold in Over 95kgs Novice No-Gi whilst Stephen Bevan won silver in over 95kgs Intermediate No-Gi division. 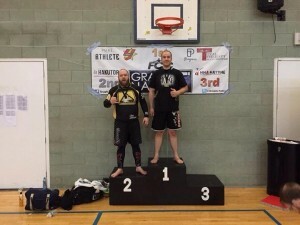 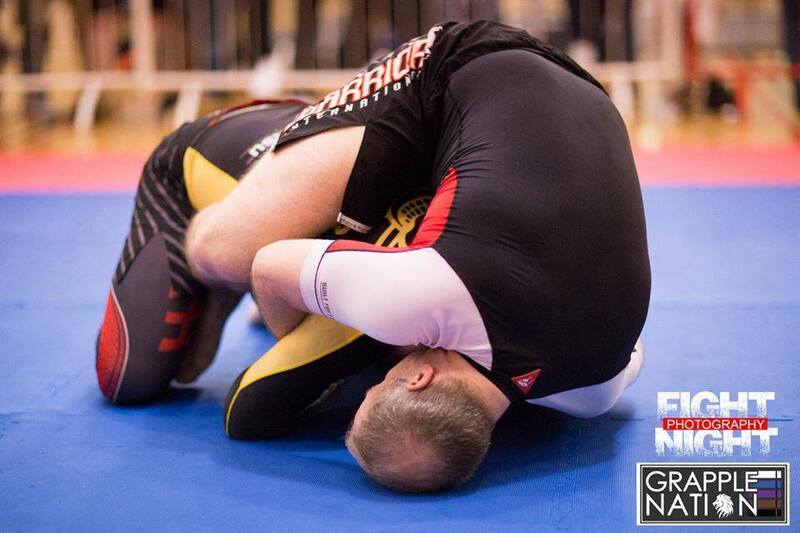 Two MCKG grapplers took to the same podium with Steven Rigby who won silver followed by Wayne Fagan who took bronze in the under 80kgs Advanced No-Gi division. 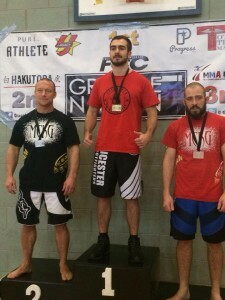 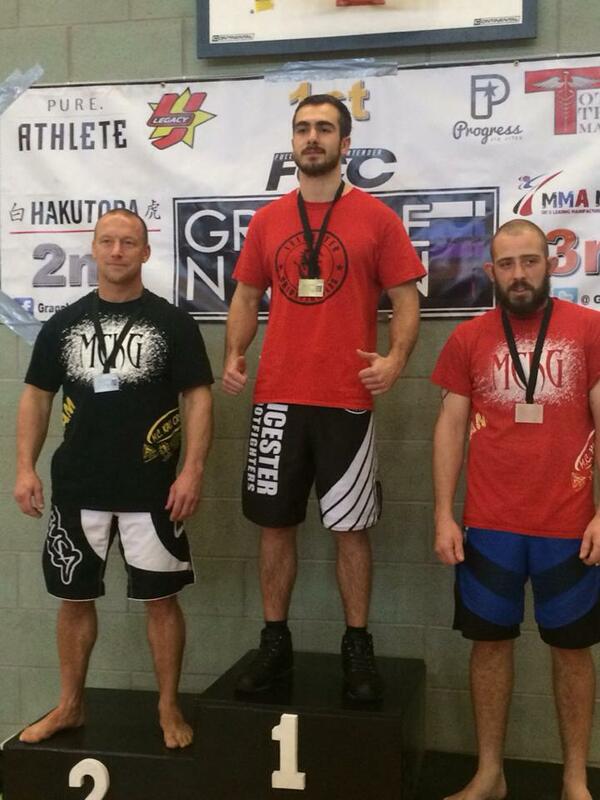 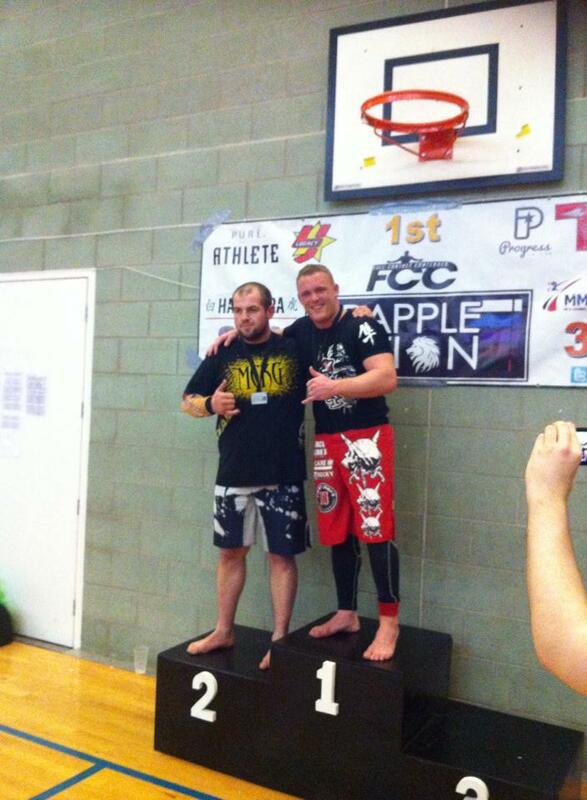 Lee Johnson secured silver in the over 95kgs No-Gi Advanced division to round out the medal haul for Wigan based MC Kali Group. 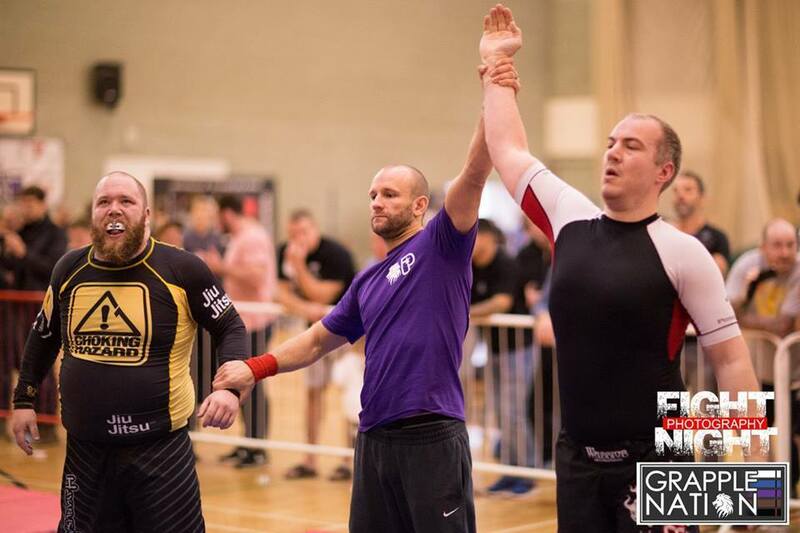 With 1 gold, 3 silver and 1 bronze, MCKG took 6th place overall in the medals table with over 45 teams competing at the event.